1) How is Healthy People Healthy Trails initiative creating change for the better in our community? Connect to an active life. Connect to the outdoors. We provide the tools to get moving. Sedentary lifestyles, obesity and chronic illness are a tremendous burden on society. Children live with the stigma of being overweight. They cannot run and play as in generations past. They develop chronic illness at a young age. A major social change is required to reverse this trend. Walking is one of the simplest ways to be active. It can be done almost anywhere by people of all ages and abilities, at no cost and it is the most popular form of exercise. Our tools get people started. Our Prescription for Outdoor Activity is used by local doctors and evidence shows it is a strong motivator. Our maps are said to be the nicest local walking maps. Our calendar is recognized as the most complete compilation of local group walks. We support community health walks to raise awareness and to give participants a place to gather, enjoy walks together, and build community. 2) How is Healthy People Healthy Trails initiative social change rather than traditional charity or direct service? We address areas that influence physical activity behavior including the environment (both physical and social/cultural), health care practices and access/awareness to recreation activities. We are developing a platform to address the chronic disease crisis. We are creating social change with a unique collaboration between land management agencies, health care providers, recreation services and community partners to improve the health and wellbeing of community members through the use and enjoyment of trails, parks and open spaces. Partners include CenCal Health, Cottage Health, Sansum Clinic and Santa Barbara County Public Health Department who issue our Prescription for Outdoor Activity to appropriate patients and reach low income and underserved individuals. That prescription is being filled using our Trail Guide to Easy Walks that provides patient and doctor with information as to where the appropriate trails are, what the level of difficulty is, and other health related factors. By doing this we are creating a new pathway to a healthier lifestyle, countywide – where none existed before. 3) How are decisions made and priorities set for Healthy People Healthy Trails initiative? We use evidence based practices. The organization is managed by a steering committee that sets priorities to guide decision-making for the development of action plans. 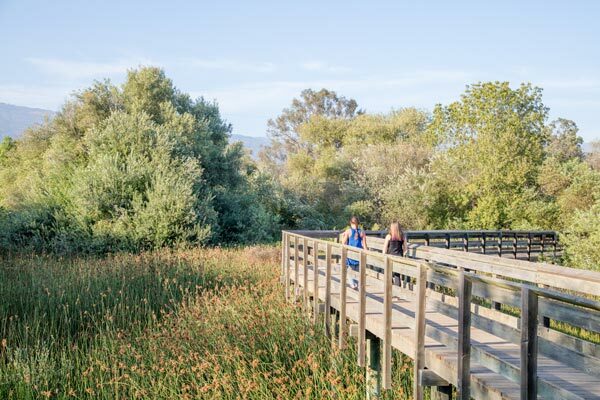 The steering committee is composed of community members and leaders from Sansum Clinic, CenCal Health, Cottage Health, City of Santa Barbara Parks and Recreation and Santa Barbara County Trails Council with support from National Park Service. 4) How is the community involved in the decision-making process for Healthy People Healthy Trails initiative? The tools we created provide individuals who are not physically active and may be affected by obesity & chronic disease such as diabetes, high blood pressure, heart disease, depression, arthritis and more to decide individually the best way to increase physical activity in their life. We advocate for people to choose activities using the information we provide as to the best way to use trails, parks and open spaces as freely accessible outdoor gyms to improve their health and wellbeing. The Prescription for Outdoor Activity is given as part of a consultation between health care provider and patient. The Guide to Easy Walks is a free set of maps available in print and online in English and Spanish that individuals use to select interesting locations where they want to go to increase physical activity by simply walking. Members of the community with or without a prescription can use the guide. 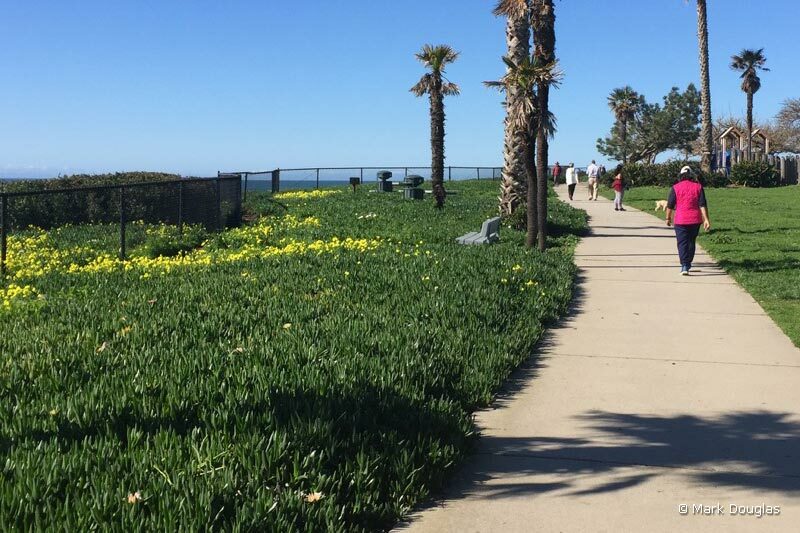 5) How does Healthy People Healthy Trails initiative benefit Santa Barbara County? The people served by the Healthy People Healthy Trails initiative are distributed across the county & include low or moderate-income participants. We accomplish this by partnering with & promoting the program to agencies serving low-income individuals such as CenCal Health, Santa Barbara County Public Health Department, Santa Barbara County Food Bank, Santa Barbara Neighborhood Clinics & others. 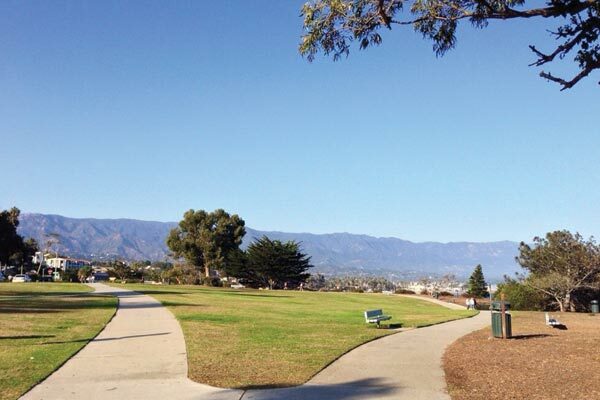 We provide a benefit to the healthcare agencies and parks and recreation departments across the County of Santa Barbara by providing a connection that helps both entities reach mutual goals related to promoting health, wellbeing, and fitness of community members. In terms of geography the program was piloted in South Santa Barbara County in 2017 and is now expanding to Lompoc Valley and Santa Ynez Valley in 2018. We will be countywide in 2019 when the program expands to communities in the Santa Maria Valley.